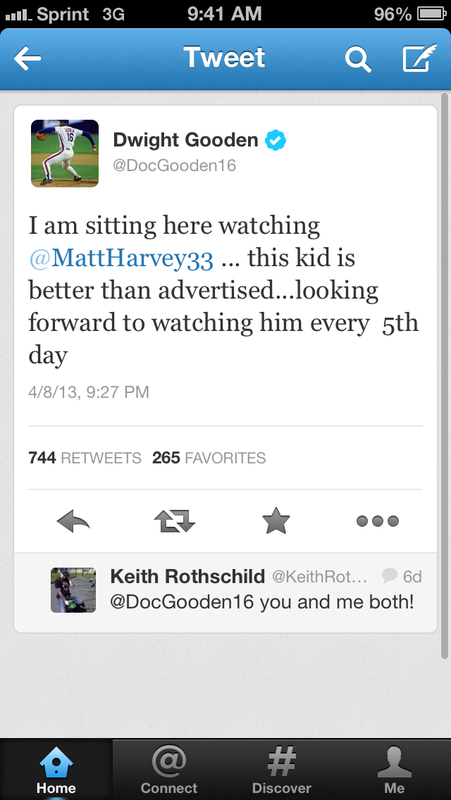 Matt Harvey has made every fifth day for Mets and baseball fans alike, must watch TV. Harvey, has captivated this city with the start he is off too and is beginning to draw national attention as one of the best young pitchers in the game. When he takes the mound, there is a certain Buzz that surrounds his starts that in unlike anything I have ever experienced with this team. 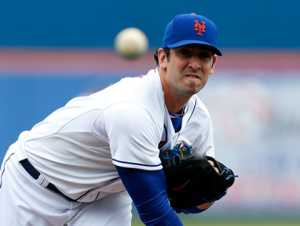 In each of Harvey’s starts this season, he has dominated his opponents, going 3-0 with a 0.82 era with 25 strikeouts. He hasn’t just been the best pitcher on the Mets staff, he has been the best in all of baseball. He is the first pitcher since Bob Fellar, in 1947, to go 7 or more innings in each of his first three starts allowing 1 run or fewer with 25 strikeouts, not bad. Most recently, he took a no-hitter into the 7th inning against the twins where it was broken up by a Justin Morneau home run. He did go on to finish the 8 inning, allowing just two hits on the day. The comparisons, which were bound to happen, have already been made to that of Tom Seaver and Dwight Gooden. Seaver turned around this franchise when he arrived in 1967, Gooden took the city by storm in 1984 with his sheer dominance. Both went on to win Rookie Of The Year awards, although Harvey may not be eligible for that award, he is certainly creating the same amount of excitement in his first full season just as those two once did. Similar to both of those former aces, Harvey arrives while this team is in transition, restocking with young talent in hopes of contending for years to come. Both the Mets championship teams in 1969 and 1986 were built around their starting pitching, with front line starts in Seaver and Gooden to anchor the load, which is what the Mets are hoping to have in Harvey. So far, he looks to be the ace of this staff and more already in his young career. 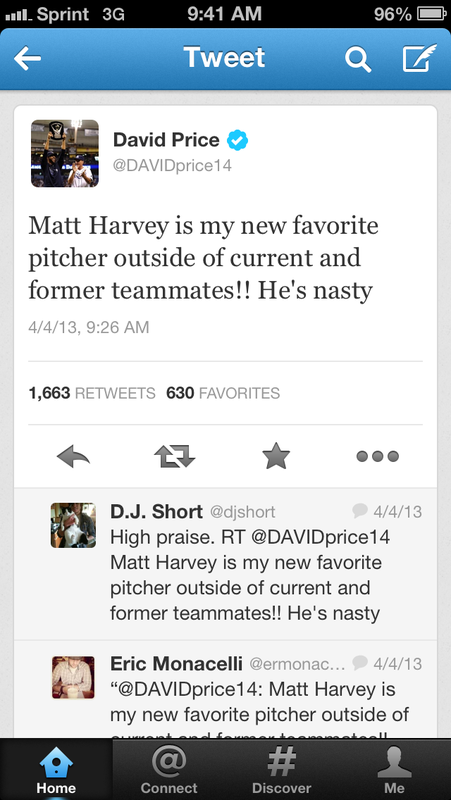 Former Cy Young winners, Doc Gooden and David Price took to twitter to express their feelings towards Harvey. It’s not just New York noticing what he is doing, the whole league is taking note. He was featured during this Sunday’s edition of Baseball Tonight, Curt Schilling went as far as to say Matt Harvey would be the pitcher he would most want to build a team around. High praise coming from all directions for this young man. What impresses people most about Matt Harvey, isn’t his high 90’s fastball or his wicked slider, it’s his demeanor and attitude. He has insisted his goals on the season are to win 20 games and throw 200+ innings. In an interview with SNY’s Kevin Burkhardt during spring training, Burkhardt asked him what it was like to watch Tigers ace Justin Verlander, who was throwing against the Mets that day. His response, “He’s a lot like me.” Now, maybe I’m looking to far into those comments, but when he chose to say, he is a lot like me, rather than a lot like him, that to me means he has all the confidence in the world in his abilities. Weather pending, he is in line to start on Friday against the Washington Nationals and their young stud, Stephen Strasburg. If that holds up, it could be the first of many match up’s between the young aces.